Hey Guys, can you believe we are nearing the end of another year in a few more weeks? I know... I can't believe it either. Today I am going to speak about my travel in my most favourite country: The United States of America. When you think of USA, things that instantly come to your mind are The Statue of Liberty, Grand Canyon, Golden Gate Bridge, Las Vegas, etc. But having explored all these places on my first trip to US, I thought I would not have much to do in my later visits. But I was so wrong. Every time, I visit US, there is always some fun thing I do. So today I decided to make a list of all such fun and offbeat rides that I took in the US. New York is a place that grows on you. The crowd, the chaos and the energy is so addictive that once you visit this place, you want to be here for life. On our trip to New York, we decided to explore the Brooklyn Bridge on rental bikes and we so loved the experience. The road and traffic is so encouraging of bikers and everyone is too glad to guide your way. I had rejected the idea of biking in SFO once, and so this time, I decided I will give it a try and I am so glad I did. I rode the ATV for the first time at Pismo Beach in California, and it was super fun. Racing with our friends on the sandy beaches, with cool breeze flowing on my face…WOW...it was so much fun. Go-Cars look like small toy cars, but are the first-ever GPS-guided Storytelling cars. They are battery operated and around 200 points of interest are loaded into the Go-Car’s friendly GPS system. You can rent these in various cities in the US and they are so much more fun than normal cars. We drove through downtown SFO and also the crooked street in go-cars, and I felt like I was a child again. It just gives you a much better view of the places you visit and people around you, courteously let you go first. How sweet, isn’t it? Anyone and everyone, who visits SoCal, wants to be in LA, for obvious reasons. But believe me if there's one city that I love more than LA it is San Diego. Famous for the San Diego Zoo, Sea World and Balboa Park, San Diego in itself is such a beautiful place that you will find it difficult to depart from here. We explored this beautiful city on Segway’s...n WHAT an experience it was. It took us a total of 7 minutes to learn how to ride Segway’s, and after that we swooshed through the beautiful lanes of San Diego while our guide gave us the complete history of the place on our tour. We also took an ice-cream break on the way. All in all, totally recommended by us. Solvang is a pretty little Danish city in Santa Barbara county of California and you will find all things Danish here. The windmills, Danish bakery, ice creams, wines and culture. On our trip to Solvang we drove a surrey and I can’t even tell you how much fun it was. 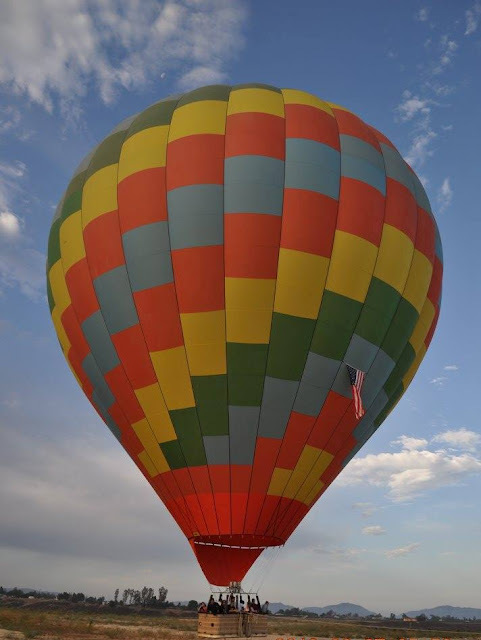 If you are visiting USA and visiting a vineyard is on your mind, make sure you book a hot air balloon ride there. We took the hot air balloon ride at Temecula Vineyards and flying over the gorgeous vineyards witnessing the first rays of the sun, is something that will be etched in my memory forever. We witnessed the process of filling the magnanimous balloon with hot air and thankfully our ride was so smooth, that we didn’t even realize when we landed on the ground. Inspired by Bollywood, husband wanted to try something fun and adventurous, and so he signed us up for a Jetboarding experience. In spite of the fact that we both can’t swim. I was terrified and kept complaining till the last moment. And how was our experience??? Not bad, but not too great either. Jet boarding requires a lot of practice, strength and stamina. We kept falling in the water and the salty water kept entering our eyes and nostrils. 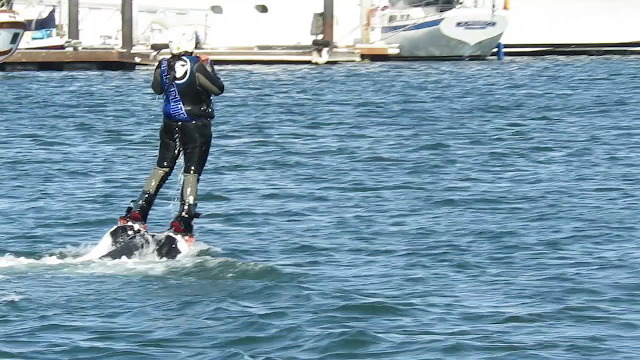 It wasn’t exactly the way we had expected, but at least I can claim of trying Jetboarding, which very people can do. 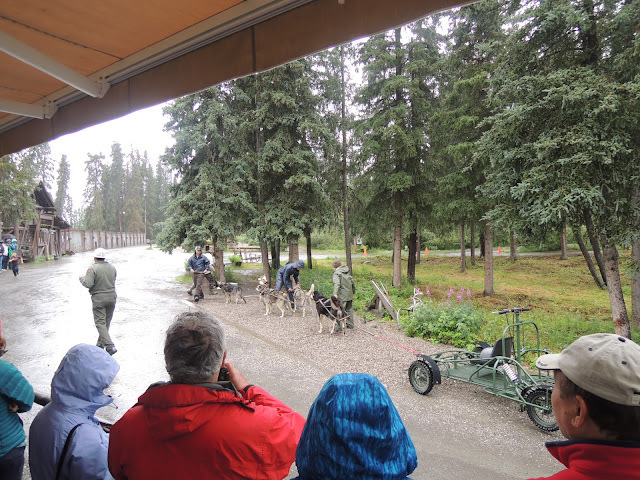 We visited Alaska, this summer, and so we didn’t exactly have a dog sledge ride due to the absence of snow, but we tried the dog cart ride and I can’t even tell you how much fun it was. Believe it or not, the dogs really enjoy pulling the cart ride and they keep barking when the cart riders are picking dogs to tie to the cart. They get really excited because they really enjoy some exercise in the cold weather and also the treat that follows after the ride. 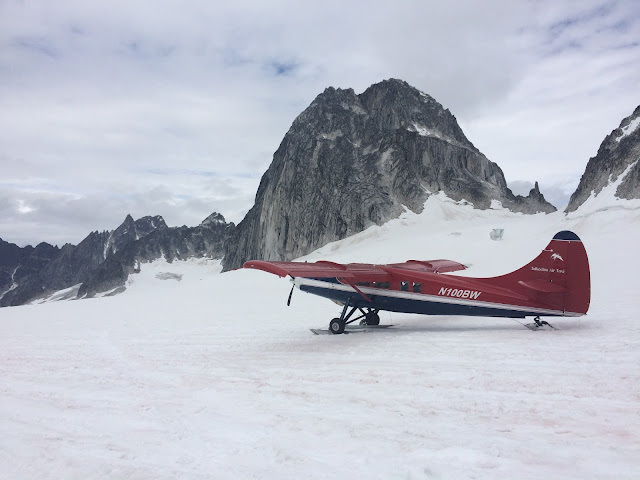 One of the major reasons for visiting Alaska was to view glaciers, but when husband booked a Glacier Landing Flight, it was a huge surprise. They actually fly you on the top of the highest mountains and land the flight directly on glaciers. You can walk on the snow, play snowball fighting or simply act to meditate like yogis. Well at least that’s what I did. Since we had so many activities that we had planned on our US trip, we had made arrangements for adequate foreign exchange. But since we found great deals online, we actually saved so much bucks that when we were back, we were left with loads of USD, which we had to later get converted. So I would recommend that after you book your air tickets, you check out the deals and coupons for the various excursions that you want to experience in advance. This way, you will have a fair idea of how much foreign exchange you need and you won’t have to fret over converting your excess left over US Dollar to INR once you are back. Hope you like this post, because I had so much fun drafting it. I relived my entire holiday in this one post. Amazing composition Aditi. Glad to be a part of some of these trips! Come over again, lets do more of these.. From:Manoj & Jaya. All these rides look so fun! I would love to try a hot air balloon one day! Amazing !! Rides are to awesome!! thanks for sharing with us. awesome post!! thanks for sharing!! You have written this post very nicely i really liked it. I saw your blog it's looking interesting. You shared this with thank you for this. like your site. It is great! Keep up the good work.